Welcome to the KO Racing home page. 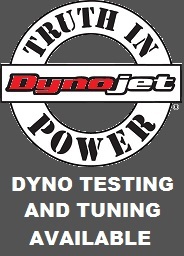 We are a High Performance automotive fabrication and dyno tuning shop in Oregon City, Oregon near Portland, Oregon. We specialize in the improvement of the Toyota MR2 primarily, though we have experience tuning and working on a wide variety of automobiles. It is KO Racing's goal to make it easier to improve the performance of street driven and race vehicles through high quality, better engineered parts and service. Automotive performance parts are the main focus of this page, but the content may vary from general information, to how-to instructions. Be sure to check out the products page for parts for sale, or for information about Kris's MR2, see the Loki section. We also offer complete automotive services for your modified car including engine management tuning on our in-house Dynojet chassis dyno, custom fabrication, and engine building. Give us a call to see what we can do to help you achieve your automotive dreams.